These new additions to the park offer hours of fun with rides the entire family can enjoy together. We recently visited the park as as they unveiled the new area and met 7-year-old Symeon from Make A Wish Georgia, he was named Honorary Park President For a Day. Symeon was presented with the Key to Six Flags, while acting as Honorary Park President. 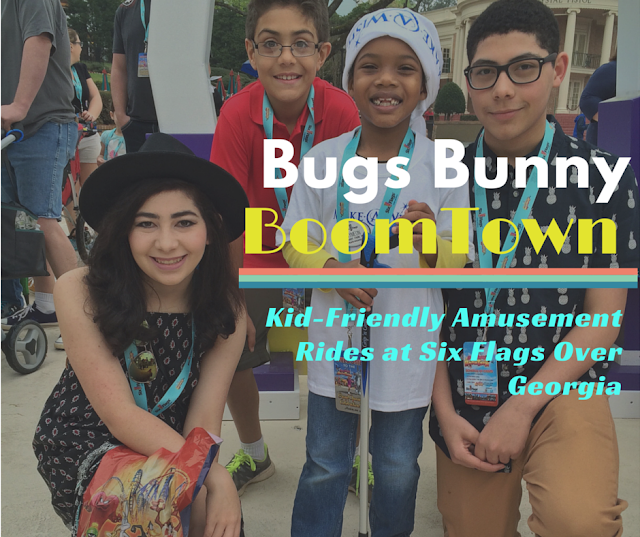 He helped open Bugs Bunny Boomtown, shadowed Six Flags Atlanta Properties Park President Dale Kaetzel throughout the day, talked with guests, answered questions and brought smiles to all. From Metro Atlanta, Symeon has been associated with Make-A-Wish Georgia for more than two years. He is an avid fan of Six Flags, always making his way to the Gold Town Racers GoKarts each time he visits the park. He was diagnosed with cancer, but has since been declared cancer-free. Daffy Duck Bucket Blasters: Get ready for a wild and crazy family water battle where everyone is a winner! 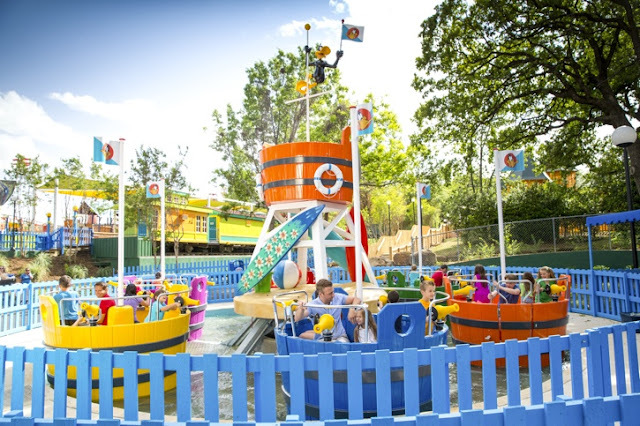 You will get to spin around, squirt your friends and laugh all day on this crazy twisting water ride. Speedy Gonzales Speed Boats: Everyone’s favorite speedy mouse is on the loose and has gotten himself some speed boats that are as fast as he is. You will be screaming "Andale Andale" on these wacky bouncing boats all day long! Bugs Bunny High Seas Adventure: Have you ever wanted to fly through the air on a junior sea-worthy quest with your favorite looney rabbit? Bugs Bunny is hiring a crew for a high seas adventure you won't soon forget! Yosemite Sam Wacky Wagons: It's the rootinest, tootinest wildest kids ride in the wilderness! Step onto an old western spin on a junior Ferris wheel perfect for junior cowpokes. Looney Tunes Adventure Camp: Bugs Bunny and the gang love to come to this spot so they can unwind and just be looney kids again. 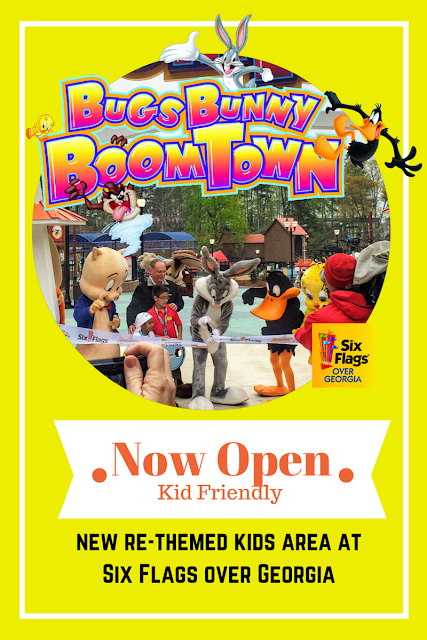 Climb into an interactive playground with Bugs Bunny and all of his Looney Tunes pals! Acme Trucking Company: That Wile E. Coyote will just never stop until he catches the Road Runner. His most recent plan is a monster truck driving voyage to stop the Road Runner in its tracks and he needs your help! Tweety Twee House: All aboard to the most exclusive tree house around! Get ready for a 20-foot up and down journey into your favorite little yellow chirping birds nest. Six Flags Over Georgia is now open on weekends and daily April 2-10 for Spring Break. For more information visit www.sixflags.com/overgeorgia.